Meguiar’s Canada: Join us on the 2019 car show circuit! Meguiar's car care products are trusted by automotive professionals across Canada and worldwide. 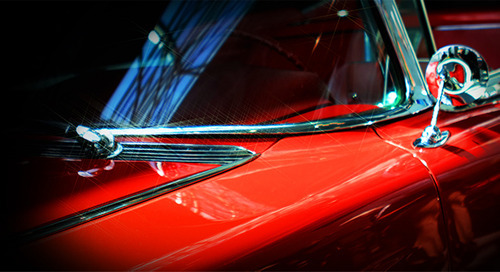 Home » Articles » Meguiar’s Canada: Join us on the 2019 car show circuit! Simon Dion-Viens first set foot in the world of journalism and sportcars over 20 years ago. Following his feature in several well-known media as Editor, Simon is now part of the animation team on the TVA series, automobile Propulision, which airs every Saturday. After great success in the canadian automobile race, Dions-Viens continues to compete in the popular Nascar Pinty's series. 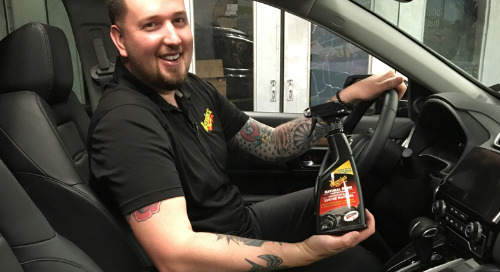 As you’ve undoubtedly seen on social networks, I’ve had the good fortune to represent Meguiar’s Canada as an ambassador for its excellent product range. I’ve been active in the automotive world for several years, so for my part the association is a given. To start with, people who know me can certainly confirm that I have a passion for both auto racing and high-performance or heavily modified vehicles and that I love to restore vintage vehicles. 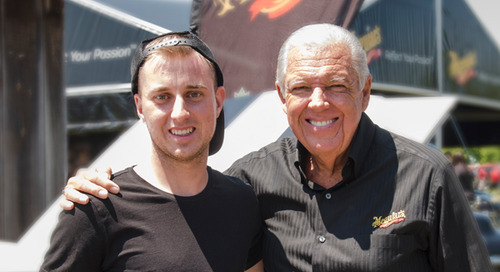 Since I started partnering with Meguiar’s Canada nearly two years ago, I have had the opportunity to work alongside of all kinds of individuals with whom I share this passion. 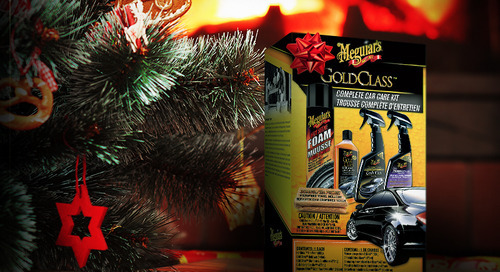 Meguiar’s Canada consists of a small team whose members’ main interest, well beyond their professional lives, is automobiles. The company is also deeply involved at the heart of Quebec car culture and I am lucky enough to join them at highly popular automotive events such as the Granby International Exposition and the Auto Sport Show in Quebec City. I even had the opportunity to visit Meguiar’s on American soil at their booth at the popular SEMA Show in Las Vegas. You can surely imagine what a pleasure it is for me to attend such events! Every year I meet passionate people and, of course, I get to see all kinds of unique street rods. These cars very often have a fascinating story behind them, and talking to the owners is how we discover them. To my great pleasure, in recent years I’ve seen many car lovers returning to their roots, and enthusiasm for classic cars is growing stronger and stronger. 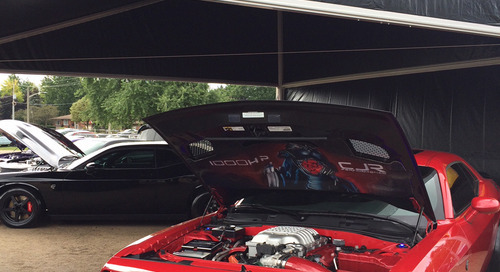 Muscle cars from the 60s to the late 80s are currently popular at most of these events. I did have my tuning period with imported Japanese vehicles, which I still own, by the way, but I too have been returning to my roots for the last few years, and the cars I currently like most are certainly the 60s models with their special charm and unique lines. My last restoration project, on my 1967 Camaro, perfectly demonstrates what I love most in automotive culture and the trend in recent years. I actually had the opportunity to get a lot of inspiration on the other side of the border, at SEMA 2017, where there were several restomod cars. Put briefly, the restomod trend involves grafting mechanical parts built with the latest technologies onto vintage vehicles with the goal of improving performance and handling. For its part, Meguiar’s always has an impressive booth at all the biggest automotive shows around the world, and Quebec is no exception. Their attendance is highly appreciated because in addition to demonstrating their excellent products, their expert team offers valuable advice on aesthetic automotive care directly on site. For my part, I can confirm that I’ve learned a lot since I started partnering with Meguiar’s, and I also test all their products on my own vehicles. I’ve had excellent results, so I’m even prouder about having the chance to represent the company and the opportunity to share my passion with you! Join us on the 2019 car show circuit! For Meguiar’s Canada, car shows are an opportunity to connect with Meguiar’s fans and bring the Meguiar’s automotive detailing experts right to you. 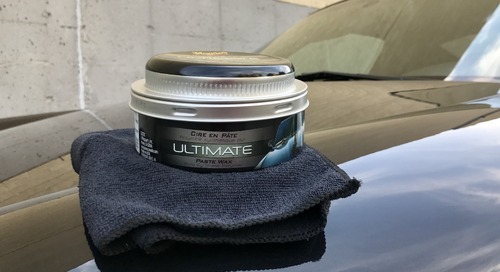 See how you can keep your car looking newer longer because just like car models, car care products are constantly evolving. Pick up some samples while you’re at the booth. As the leaves begin changing and the days feel like they’re getting shorter, your commutes to and from work get darker. 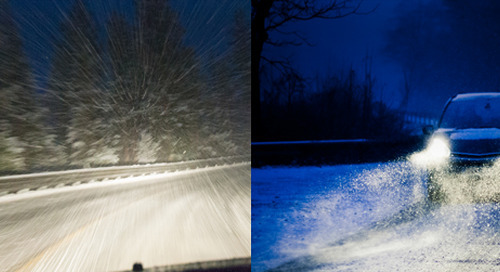 This is the time to start thinking about vehicle safety for winter. Cross off the car person from your holiday shopping list with a car cleaning gift set. Canadian car detailing expert, Joel Prior has advice for you. What’s the best way to clean your car’s interior? See the top 5 car maintenance tips about what car hobbyists should do to get their vehicle show ready. Join us on the 2018 car show circuit! Find out where you can visit Meguiar’s® Canada on the 2018 car show circuit for car detailing tips and the latest in car care products. Josh Vandenberk drives a 1986 Monte Carlo SS. His dad bought it for him when Josh was seven years old, and they’ve been working on it together ever since. As the days grow shorter and the nights get colder, we should start thinking about preparing our cars to face the harsh Canadian winter.